A year ago, we were in a much different place than we are today. Going into the 2013 Democratic primary for mayor, we supported an incumbent who possessed encyclopedic knowledge of the mechanics of capital city government, its problem and its opportunities—even if he wasn't the kind of change agent that other candidates represented. One of those change agents, then-Councilman Chokwe Lumumba, not only prevailed in the election, but also in throwing preconceptions of him based on his activist past out the window. Lumumba worked with the white corporate community, and they reciprocated, getting a sales-tax hike passed through ballot referendum, and creating a sense that Jackson was on the right track even if we weren't quite sure where that track was heading. Sadly, Lumumba won't be on that journey with us, and we find ourselves faced with the task of selecting a new leader for Jackson. We, and voters, face a difficult decision. The same hunger for something different that resulted in Lumumba's election remains evident in two young men, selected from a group that included more experienced pols. Their ages averaged together wouldn't meet the constitutional requirement to seek the American presidency, but they will compete in the upcoming runoff. Tony Yarber, 36, is a former educator and well-respected member of the city council. Chokwe A. Lumumba, 31, is the late mayor's son, protege and law partner. We stand by what we said about Councilman Yarber earlier this month. He is a success story—on the council and for Jackson—and a powerful, personable leader with good ideas. We like that he wants to strengthen the city's relationship with Jackson Public Schools, which briefly devolved into a legal dispute. A Yarber administration could be the strongest advocate for public schools we've seen out of city hall in a long time. In re-affirming our endorsement of the younger Lumumba, we also stand by our previous stance. Yes, he is young. True, he hasn't been elected to political office. But in our view, neither youth and nor outside-of-government experience are negatives. From what we know of Lumumba, he is a bright, thoughtful attorney who manages a good team. He is a product of Jackson—his father was born in Detroit—and enjoys a loyal, enthusiastic base of supporters, both among the voters and his campaign volunteers and staff. We are hopeful that wide-eyed optimism and energy following Lumumba to City Hall and spurring perhaps unconventional solutions—such as a human rights commission (see pages 8-9)—to some of the city's lingering problems, while continuing the best of his father's ideas. And we believe he is sincere about shaking up key personnel, including some of his father's controversial appointments. Despite Yarber's and Lumumba's youth, this election isn't about change: it's about building on the foundation that Mayor Lumumba had started to lay. It hasn't been a full year since Jackson said it wanted a Lumumba, whom many people believed at the time to be a risky proposition. The JFP continues to support Chokwe A. Lumumba for mayor on April 22 and look forward to Yarber's continued leadership on city council. JFP Endorses Chokwe Antar Lumumba for Mayor; Vote Today 7 a.m.-7 p.m.
"in ward 6 where i live no kfc byram or hwy 80,no taco bell byram or hyw 80"
Please clarify this. Are you blaming Yarber because you don't have a KFC or Taco Bell in your area? This board can do and say anything; however, let's be clear, at best this article of endorsement makes absolutely NO sense, except for the promotion of this paper. Black people should be outraged! 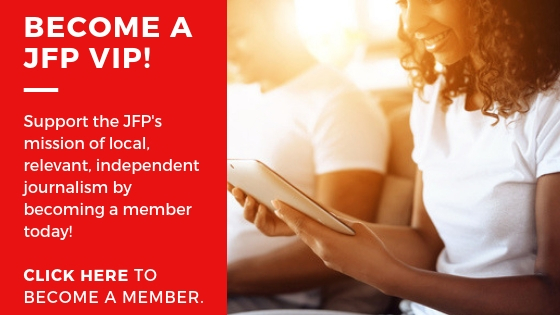 This should have been an opportunity for the JFP Board to just simply sit this one out rather than try to justify and make a choice between these two candidates. I am outraged after the reading the following: "Lumumba worked with the WHITE CORPORATE COMMUNITY, and they reciprocated, getting a sales-tax hike passed through ballot referendum, and creating a sense that Jackson was on the right track even if we weren't quite sure where that track was heading." It is evident that the WHITE COMMUNITY got what they wanted, but, what did black people who comprise 80% of Jackson's polulation get? Please, don't all of you answer at once. Blacks got a chance to pay the extra tax without adequate representation on the Commission Board designed by WHITES. The money is paid by Jackson citizens, yet, the Gov. Lut. Gov., Speaker and Chamber get the lion's share of the votes (7). Mayor and City Council get 3. That's not fair. According to this Board, Lumumba was able to convience Whites that he was no longer an "activist". Antar Lumumba acknowledges his father's past and has promised this community that he will build on it. The seperation of Blacks from Whites through the establishment of a Black Nation is still on the drawing board. The RNA represented by then Attorney Chockwe Lumumba, lost the court case wherein they bought land in Mississippi and wanted to have a seperate Nation. The courts ruled that blacks could not have a Nation within a Nation. It would have made more sense and perhaps viewed more creditable if the Board said, "We don't know anything about Antar, but we like the fact that his father acknowledged the value that Jackson Whites have over Blacks. Mayor Lumumba had two Jacksons: One for South and parts of West Jackson and one for North/North-East Jackson. The making of bean pies and the planting of gardens where you could be part owner was the mantra for South and parts of West Jackson. North and North East Jackson was being courted with great tax deals and business incentives. I am further disappointed that the JFP is complicit in the promotion of Mayor Lumumba who had only 7months in office and with only 2 accomplishments, yet, we are being asked to forget former Mayor Harvey Johnson, Jr. who did so much for the City of Jackson. It's as if his name can not be mentioned. I guess Mayor Johnson will be like Rev. Dr. King, when whites began to give positive recognition, blacks will fall in line and be able to see and tell the truth! Justjess, we've never said that Lumumba was no longer an "activist." Of course he was. It was the preconceptions that people overcame, and we believe that is a good thing. We fully realize that you're a huge fan of Mayor Johnson, and we have supported him until this last election. And we've said nice things about him since he lost the election and believe he got a raw deal over the years. We've never asked anyone to "forget" that -- actually to remember it. But here's the thing: In this election, Mayor Johnson did not show us an enthusiastic candidate as we've seen him be before. I personally was not a fan of his choices or some of the people closest to him in his campaign. I can understand why he's tired and frustrated, but it showed too much in our dealings with him for us to support him. I respect him, but could not support him again for mayor. I make no apologies for that. "Mayor Johnson did not show us an enthusiastic candidate as we've seen him before. I personally was not a fan of his choices or some of the people closest to him in his campaign." This description of Mayor Johnson falls into the sterotypical assessment of a black male, i.e., you must keep laughing, shucking and jiving. Keep us entertained. Remember, Frank Melton was a genius at that trick. He, too, was able to get many "White Businessmen" to support him. What was it that Johnson could have said or done for you and your Board? How could he have acted differently to allow you and members of the Board to know that he loves Jackson and worked tirelessly - daily to keep this city on track. Mayor Johnson spent his evenings walking the neighborhoods of Jackson. There were people who welcomed him back after moving from "Madison to the City of Jackson". Now there is another chapter to the Johnson story: "He's not enthusiastic". This is a definite dichotomy because at the beginning of the Board's article, it gave a stellar description of an incumbert (Johnson) who posessed encyclopedic knowledge of the mechanics of capital city government, its problems and its opportunities......" Yet it was now believed that Jackson needed a "change agent" and that experience, dedication, committment, hard working, wonderful work ethics, honest and tangible evidence of many successes no longer matter.. You just need to be "enthusiastic". I was a strong supportor of Mayor Johnson and for that, I will make no apology. I am also a strong supporter of taking care of the city and change for the sake of having someone "NEW" just isn't an answer for me. Donna, I guess the moral of this story is that you don't look for a diamond in a Cracker Jack Box: You will only find shiny stones but never are they real. Justjess, you are way out of line and trying to put words in my mouth I never said or even implied. I'm sorry your candidate lost, but you don't get to come here and do that anymore than the right-wing nuts you and I have both dodged over the years. I voted to endorse Johnson three times (to much louder moans and belittlement than from you now) both because of his ability to balance a very difficult city dynamic (and keep a lot of vultures at bay) and because I knew a little too much about his opponents, some reportable and some not. Last year, we liked Lumumba, but were concerned about him being divisive. The opposite of that proved to be true, and I believe that will continue with his son, who is very intelligent and dynamic and, we believe, less indebted to his supporters than many who run for Jackson office. An endorsement is a mixture of voting-for and voting-against, and Johnson won those balancing acts for us until this election. None of that means I respect him any less, or need anyone to shuck or jive for my endorsement vote. How patently offensive. I'm not getting in the middle of that argument. As far as Yarber and Antar, I also feel like tossing a coin to make my choice because they seem to be so equal in strengths. As far as weaknesses, I worry that Antar is far more radical than his father and hasn't the mellowing of years and experience that his father had. With Yarber, I worry that he is over-focused on education and will not give of details of the city the needed attention. One of the great attributes of our late mayor was the way he was able to bring people together to get something like the 1% infrastructure tax passed, while also working through back channels to try to re-work the deal as far as the amount of votes the city would have on the commission by suggesting names for appointment to the Chamber to put on the Commission. He appeared to be on the verge of gaining some fairness by having Jacksonians on the Commission in the majority of seats from what I understood. Correction: "...over-focused on education and will not spend more time on details of the city that need attention." "The Jackson Free Press endorses Chokwe Antar Lumumba. Yeah! 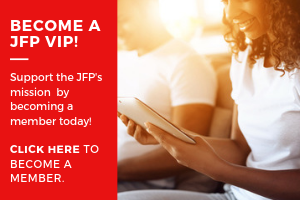 I've been reading the JFP off'n on for a couple of years and I love it. I think they endorsed Harvey Johnson in the 2013 primary and didn't endorse in the run-off that Chokwe Sr. won. Then when he took office they said, "OK, ready or not." Sounds like they're ready now." Could you let me know if I need to edit for anything that my memory didn't rightly retain? No, that's correct. We were concerned about divisiveness in a Lumumba administration -- and it was the opposite. We are also very impressed with his son and his leadership potential.